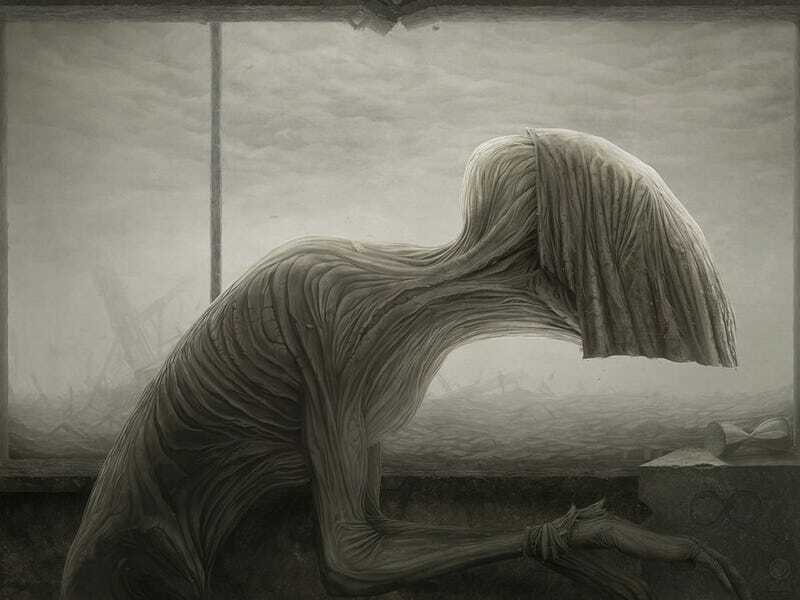 Anton Semenov's flesh and fabric monsters haunt gloomy houses and post-apocalyptic wastelands. But as unnerving as these horrific beasties seem, they also seem tinged with more than an ounce of sadness. Semenov has been creating an impressive series of these disturbing digital paintings — filled with nightmarish narwhals, spooky surrogate dolls, and mutant creatures. Each piece has a clear narrative quality, and could easily serve as the inspiration for a somber horror story.